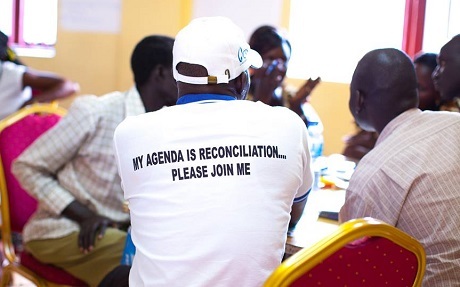 What do you want from the Anglican Peace and Justice Network? If APJN has a future it needs to have a clearer purpose and group leadership. Here is my apology. Over the last year due to time commitments I have mainly posted stories of interest on the Facebook page. I have not lived up to my commitment to generating resources to encourage and sustain all Anglicans in our calling to be peacemakers and I have not been able to sustain campaigns. The best outcome for APJN is if the future is set by you. Please contact me on this email: philgapjn@gmail.com or post something on the APJN Facebook page. Just to offer a starting place, below is what I presented to the Standing Committee of the Anglican Communion. It is just if you need something for you to bounce ideas against. Nothing is set in stone and any vision that gains energy and the commitment of diverse members will be the way forwards. Share information and resources, enable prayerful practical support and engage others in the local and global task of living reconciliation. Promote the use of Continuing Indaba as a resource for conflict transformation and reconciliation.